i made an other portal on top of the tower. if it will work i don't know yet. 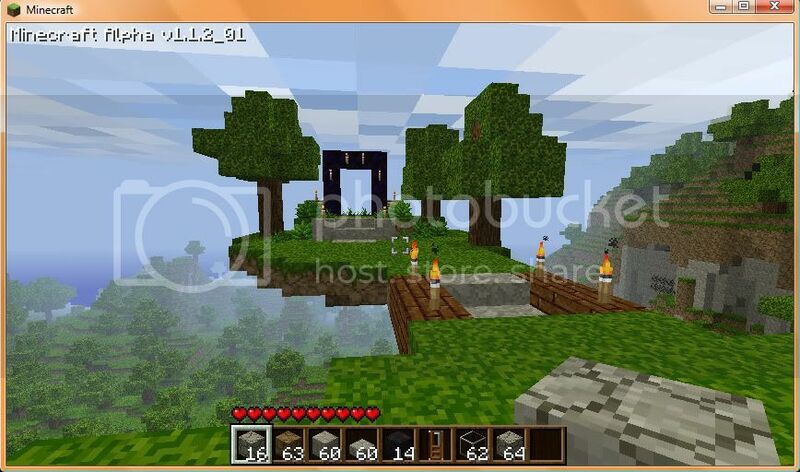 The portal is 16 block far in high, but don't know in side. The redstone circuits lead to a TNT well, which when triggered will... You get it. But basically that is my portal, pretty basic. Here's a test of my emergency system, the video isn't processed yet but it's around 1:30. I just built mine in my Hell room. Everybody keeps ****ing up the size of their gates, here's my portal room. Out of the sight of this picture on the right is a row of chests and a workbench in which i have raw materials for a house on the hell side, and all the adventuring gear I'm going to need is on the other side. 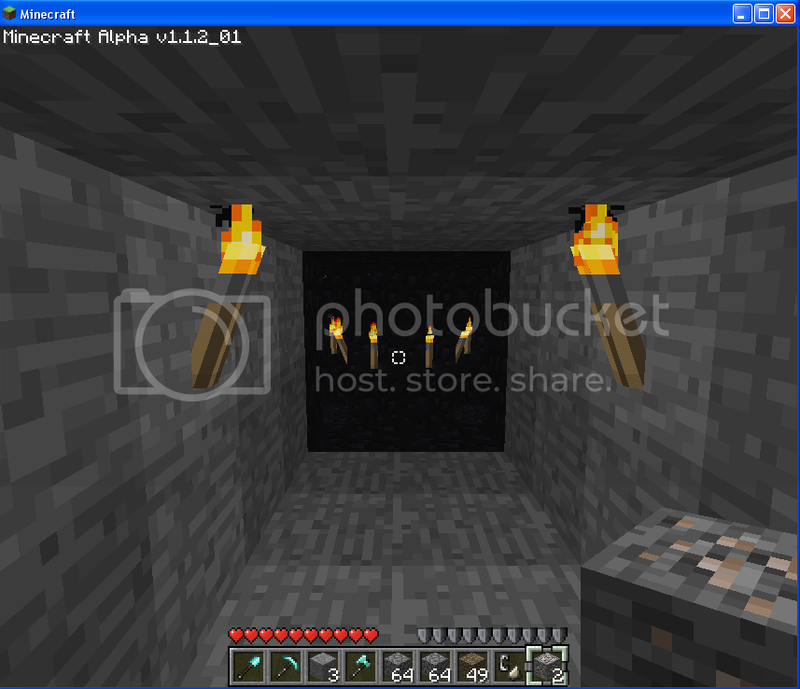 On the left is a row of smelters. Darn, just after I finished placing my portal, I read that Ghasts can spawn in the real world. I found a cute little floating island and made it into a shrine. Put a little open-air temple near it. I might just leave it deactivated for that old, abandoned feel. This is a great thread! I only wish I had half the creativity some of you have. 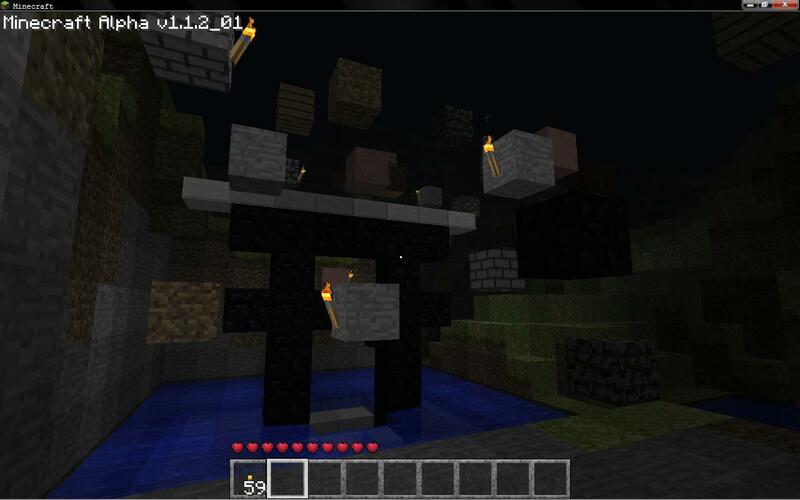 Floating blocks prevent Ghast spawns. May be adjusted later. *Edit What's with the image cutting off? I'm always amazed at the variety of takes people have on these simple designs. Very cool! NOBODY HAS NOTICED BUT ON THIS PIC THE WATER STUFF IS IN THE PORTAL !!!!!!!!! Because i don't see these Ghasts as too much of a problem if you have a bow and arrow. I've built mine in my house, with a complicated way of opening it for the first time. 5. Enter the portal room to Hell! 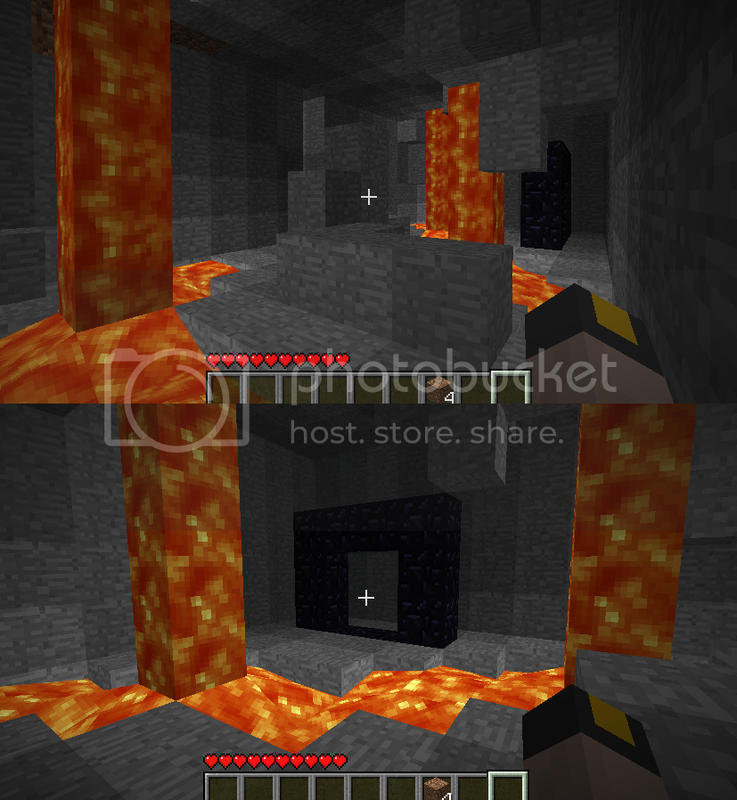 Also, they can destroy blocks, so there should be obsidian in any line of sight that it can get to. Being as big of a blob as it is (Assuming the hitbox is near the same size as the ghast itself) the solution was simple. Make a doorway that is 4x4 going into a tunnel that is 6 wide and 4 tall and place a 4x4 block one space in front of the door. I am fairly new, so let me try to use the emotes to diagram it. <- The indent is the gate. Using this idea, I made this room. It is very far underground, and there is no line of sight to a destroyable block from anywhere inside of the gate room. Going into the gate room's access tunnel. Looking at the gate. 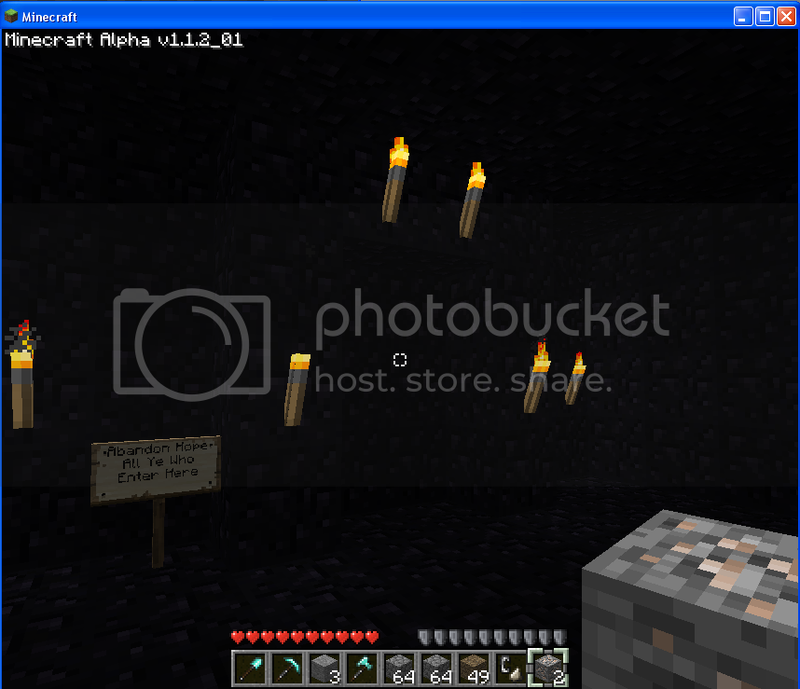 Extra torches to make it more visible until a portal is actually there. Looking back from the corner of the room that my sign is in, showing how the blockage slightly back from the doorway acts as a shield blocking line of sight with anything that goes boom. Any comments or suggestions would be very welcome and appreciated. I want mine to include a ghast capture/torture chamber. 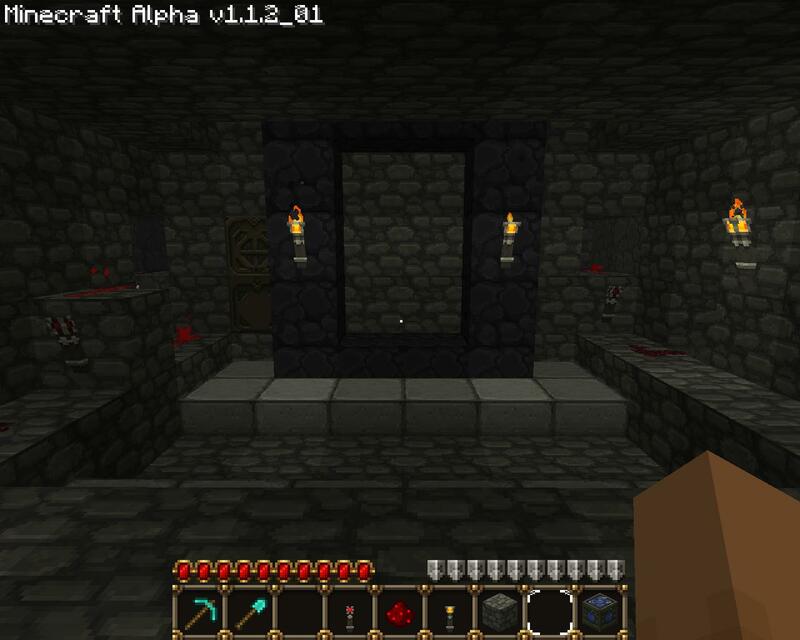 The ghast spawns in the adjacent cobblestone chamber (which I may end up making with obsidian, if I can) and I proceed to use my bow to make it feel how I feel when I go to hell to meet its family. And collect its drops. I want those very much.